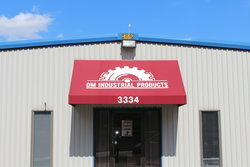 OM Industrial Products is a leading manufacturer and distributor of products domestically and internationally. We have been in business for more than 12 years. OM manufactures castings, machined parts, OEM parts assemblies, hydraulic components, and much more. We can produce any industrial part required by our customers as long as we have a drawing or sample to reverse engineer it. We can also suggest engineering changes to certain parts in order to save costs and/or improve design. OM works with large scale manufacturing facilities in established and emerging markets. We have qualified engineers on the ground at all of our partner factories. Our established infrastructure means that our customers benefit from excellent supplier relationships, reliable logistics, onsite presence, and competitive prices. 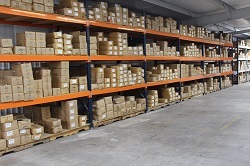 Due to our volume, we are able to service small, medium and large orders efficiently and at lower costs. We understand the people, policies, customs and protocols of the factories and countries in our supply chain. OM maintains a high commitment to quality. We audit each factory and examine everything from raw materials to maintenance of equipment throughout the manufacturing process. We have engineers at the factories to provide continuous technical support as needed and conduct frequent quality assurance inspections. We also conduct incoming quality control inspections before products are stocked and delivered to our customers. Our management team comes from several technical disciplines with many years of extensive expertise in custom product manufacturing. We believe that the most important aspect of our business is customer service. We strive to meet our customer’s needs by continuing to manufacture and stock products that they request. 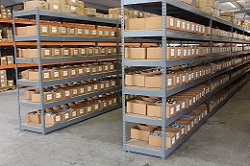 We hope that we can become your single source for all your product needs!